"I’ll be honest, there was no real thought process involved in choosing to volunteer for Missing People almost a year ago now, apart from that I wanted to do something more than my degree, learn some new skills and meet new people. I faced my laptop screen and filled out my university’s volunteer application. Out of about 7 charities available, I was drawn to Missing People, which seemed the most unique. I submitted the application and waited. That was the first moment. "After an induction with Martin Crosby, Missing People’s Campaigns Manager for the North of England and Wales, the first event I attended was in Manchester. Moving to York for university, you would think all of my work would be in that area, but to be part of a team back at home in Manchester- and across the north for that matter- was quite remarkable. The event was Team Leader Training. 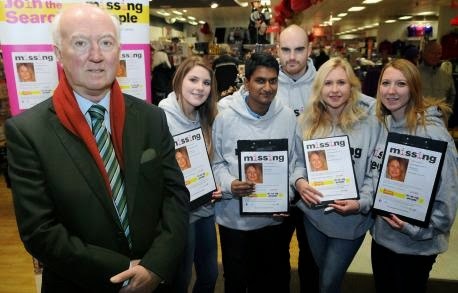 It was here that I learnt about the charity’s values, the issues they deal with and the importance of Missing People. It was great to see so many enthusiastic volunteers; some had been personally affected by the issues surrounding missing people. When I got back to York, I was asked if I wanted to take up a Team Leader position in York. My answer was a resounding “Yes”. These were moments two and three. "After a few (nervous!) appeal days, I got to know some of the volunteers that I would be working with. My main task was fundraising for a sponsored skydive that I agreed to participate in. Getting to know my team gave me a better chance of getting hold of any help when I needed it. This all led to one of my favourite moments as a volunteer; I was asked to run a small collection at BHS York alongside the supporting RockChoir. "The main purpose of the event was to raise awareness for the upcoming Carol Service in York. Once the Rock Choir started performing their Christmas songs, a crowd gathered. On a rainy December day, we brought the light to York town, if only for a couple of hours. I could not stop smiling as the generous public filled my collection tin. That was moment four. "My efforts for the skydive did not go to plan. Whilst I managed to organise a successful charity meal, York street collection and bag pack at a small ASDA, other businesses and societies were less helpful. A lot of supermarkets were all full in terms of their charity work. 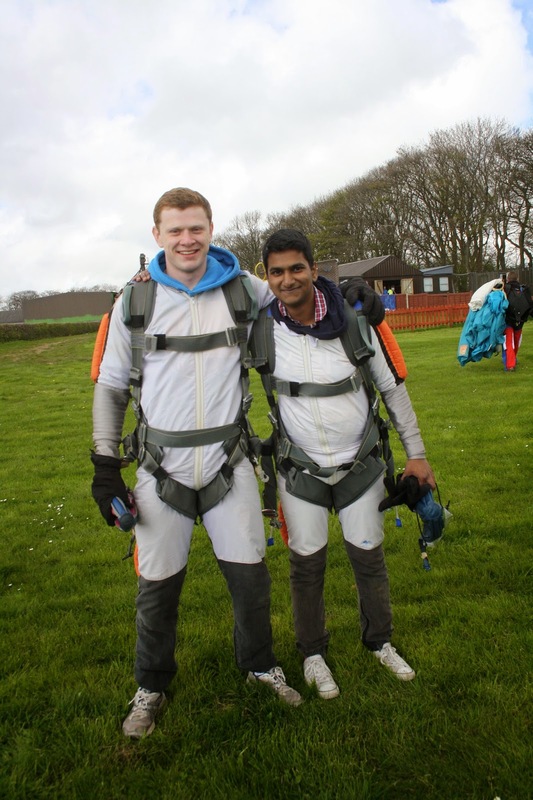 "The amount of money needed to skydive for free also meant a lot of my team pulled out. I was disappointed, but through the efforts of myself and other skydiver (Fred my housemate, shout out!) we raised £700. It was a long day, but jumping out of that plane and freefalling achieved one of my life ambitions. It was the best experience of my life. Moment number five times infinity! "I would also like to take this opportunity to thank Sarah my fellow team leader who skydived the year before and offered me some advice! She’s also done a tremendous job in York and can graduate with her head held high. "As a thank you from the charity, team leaders were invited to London to spend a day at head office. It was great to put a face to people I had spoken to before and to speak to some that were new. I also helped in some filming for the new fundraising campaign, Everybody Stops for Tea. I hope to organise one of these events in York soon. "The theme of this post is ‘Moments.’ I hope these special experiences will stay with me throughout my life. Everybody has moments; those times when we live for the present. The problem is, not many people stop to record these moments and enjoy them. That is why I am writing this. I enjoyed these moments as they happened and I can look back on them with pride." Great to read this Bhavin, I know all your involvement as a volunteer will have been appreciated. I am a Family Rep for MP, my son has been missing for 22 years. This charity is so important and volunteer s like a very big part of it. Thanks so much. Hi Sarah, Thanks for reading. It really is an honour for me to give my time and help this charity, particularity in cases such as your own. All the volunteers do a fantastic job and I couldn't do any of this on my own.